I was at the library the other day, looking for a completely different book, when for the fun of it, I typed in “L.M. Montgomery” in the search bar of the card catalogue. To my surprise, an item came up that I hadn’t heard of before (it was a surprise, because I’m pretty up-to-date on things LMM), a children’s book called L.M. Montgomery by Isabel Sanchez Vegara. I was fascinated, and checked the book out, not opening it until I got home. I’m not sure what I expected to find, but this version of L.M. Montgomery’s life sure wasn’t it. After all, I’ve read more biographies on and personal writings by L.M. Montgomery than any other single person. There are her journals: first published as Selected Journals (which I’ve read in their entirety), and more recently, her Complete Journals; her letters to Ephraim Weber and to George Boyd Macmillan; and, her autobiography, The Alpine Path (which I’ve read in full at least twice.) And then, the biographies written about her (selected, from my bookshelf): Mollie Gillen’s early The Wheel of Things (1975), Mary Rubio’s substantive The Gift of Wings (2008), and Jane Urquhart’s literary L.M. Montgomery (2009). And yet, this book, in the Little People, BIG DREAMS series, which depicts L.M. Montgomery as a cartoonish character with brunette braids, is different from them all. I suppose what I had expected to read was a familiar story. Instead, it was like being introduced to a person I’d never heard of before. It presented Maud’s grandparents (who had raised her) as “strict and grumpy,” and who regarded “reading and writing” as a “waste of time, especially for a girl.” While I’d known that her grandparents had been exacting, somehow, they didn’t quite match this picture, both figuratively, and literally, with the accompanying drawings of unflattering loafers with feet up (ankles showing!) sleeping, and reading the newspaper in the living room while a young Maud stood up on a chair with bare feet and legs. And, I’d never remembered an outright adage of Maud not being “allowed to write” (as the story says later on), though of course, that’s a similar narrative that L.M.Montgomery gives autobiographical Emily in her trilogy. And the illustrations seemed off just as much as the narrative. Maud was also conflated with Anne (or Emily, as the case may be). And yet, Maud’s story curiously included a detail that’s hardly even mentioned in other biographies of her, the fact that she had written under the name “Cynthia” when she worked at a newspaper. (It was though the writer may have anticipated Benjamin Lefebvre’s recent book A Name for Herself (2018) in which he reproduces, for the first time in book format, the complete run of the column “Around the Table” which Montgomery published during her nine month stint at the Halifax Daily Echo as a young woman). And yet, the children’s book makes an extraordinary claim — “She loved every minute of her job!” — which seems to ring untrue, if I remember her complaints in her journals about some of the tedious work required by her there. And then there are the factual inaccuracies, like the timeline of when Maud’s grandfather died, which forced Maud back to live with her aging grandmother. Or that Maud had “accepted a job at the local post office so she could send her work to newspapers without anyone noticing,” when the post office was actually part of her grandmother’s house, and the convenience of nobody knowing of her submissions was a bonus, not a reason for her to do it! Or the source of inspiration for Anne of Green Gables, that Maud had “found an old newspaper with an interesting story. It said, ‘Elderly couple apply to orphan asylum for a boy. By mistake, a girl is sent to them,'” when really those were Maud’s own words, which she claimed in her several genesis accounts that she’d written in an old writer’s notebook and stumbled upon, the idea originally coming from having read something in a newspaper some time ago. But it wasn’t so much the inaccuracy of the “factual” details that rubbed me the wrong way, so much as the overall feel of it which seemed “off.” Where had the story gone of the Maud I knew? Was it merely the fact that this book was geared specifically for children? One of the pillars of creative nonfiction is that what is written is true, or at least honest from the perspective of the writer. Among practitioners, there’s a sliding scale of how this truth is portrayed: the purists would say that every single fact needs to be 100% accurate, while the more permissive persuasions would say that quoted conversations can be approximate, characters can be composite, and in some cases, the order of events rearranged for convenience. As I wrote in The Role of Imagination in Creative Nonfiction, I tend to lean more to the realist side of truth, and the writer’s actual conceptualization of a thing. A few years ago, I was delighted to discover that the term for oral translation is “interpreting.” This word is used instead of “translation,” which is easy to regard as a one-to-one conversion process of information from one language to another. Translation is the movie subtitles at the bottom of your screen during a foreign film; the second language on your cereal box; and the assembly instructions that came with your furniture (following English, of course). When I read a piece of literature not originally written in English, I often take it for granted that it is an accurate translation. I don’t usually think about it. And rarely do I acknowledge that there are interpretative, artistic, and editorial decisions being made as well. I wonder: was I anticipating an accurate translation of L.M. Montgomery’s life into a short narrative? I suppose I thought that “adult” could be translated into “child” in terms of biography. Severely condensing her life narrative, removing all nuance, and “dumbing it down” for a younger audience seemed to take something factually accurate and inevitably created something misleading instead. This picture book seemed so far removed that it was more like an interpretation . . . and a misguided one (in my estimation) at that, far removed from the original! And yet, when I use the word “original,” I realize what I mean by that is my own version. I never knew Montgomery personally (never was alive at the same time she was, even). My version, then, is based on anything I’ve ever read about her, or by her, or heard about her at a LMM conference, or seen on her majestic Prince Edward Island. I think Melanie Fishbane got it right when she wrote in her recent fictional portrayal of L.M. Montgomery’s early life, Maud, A Novel (2017), that the book was her own imagining of who Maud was. She’s forthright and calls attention to the fact that this work is fiction. And yet, it seemed one of the most real accounts of L.M. Montgomery’s life that I’ve ever read. Are all biographies, then, essentially fictions? Aren’t they all simply the imaginative work of the writers, presenting a version of the person they personally imagine the subject to be? Like live translation, writing biography is taking something living and breathing, and interpreting it. As I’ve come to know a second language, French, I’ve often listened to its live interpretation and rate it against the “original” English for its “accuracy.” In a similar way, I think I’ve taken my own L.M. Montgomery text of her life, and rated it against this children’s biography of L.M. Montgomery. Listening to live interpreting, I’ve noted the word choices from one language to another, and also that, many times, an interpreter will cut out repeated words or even ideas. With this version of L.M. Montgomery’s life, I also wonder about things which could have been included, and weren’t. Which brings me to a conclusion, with a daunting question: if I were commissioned to write a children’s biography on L.M. Montgomery, what would I choose to include, and to leave out? What narrative threads would I pull to enable cohesive storytelling? And how would I write my own life as a children’s biography? Question: How would you write your life as a kid’s book? That is an interesting question! I just finished a novel which portrays the antagonist’s life from a 10 year old, until he is past 60. The events weave into each other. What happened when he was 10 lead to who he became and how he reacted to life. I wonder if we can’t know for sure which events are worth including until we read further in the story to see how or if they had an impact in our character. I feel like the story still has so much left!!! But if the story ended now, I would try to connect the things that have happened with who I have become. I very much enjoyed your thinking-out-loud ruminations on fiction v. non-fiction, translation v. interpretation. I used to tell my students (I was an English teacher) when I was much younger that non-fiction was true and fiction not true, a kind of standard definition of the two genres to make simple for students what is actually more complicated. As I grew older and more experienced, I began to say that non-fiction was about actual people, actual events, and fiction came from the imagination, though it could be based on actual people and events. Of course, my “more experienced” view has its problems, too. It presupposes that actual people and events are reported in such a way as always to be truthful when we know that falsehood sometimes knocks at the door and enters the room. Similarly, we often relegate fiction to a room where truthfulness is not expected. Yet, like you and your reading of the Fishbane novel, I’ve learned that much truth can exist in a piece of fiction, and much falsehood in a biography (e.g., Vegara’s children’s biography). Which brings us to translation v. interpretation and L.C. Montgomery. 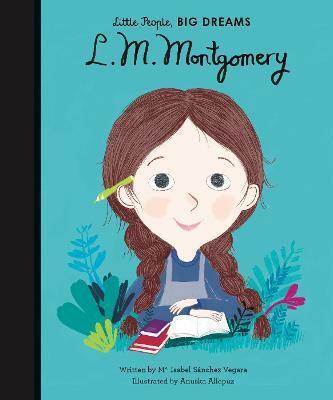 Your view that all of the research and reading you’ve done about Ms. Montgomery leads you to conclude that Ms. Vegara’s children’s biography is seriously flawed seems spot on to me. What somewhat troubles me is the too easy equivalence we all sometimes make between interpretations, as if because each person is entitled to his or her own interpretation or opinion (or that interpretations are subject to our selections of what to put in or leave out), then all interpretations are equal. If that’s true, then why read at all? Since no one interpretation is better than another, the truth of things becomes unknowable. I don’t want to believe that, though I know that getting to the truth is complicated and fraught with misgivings and errors. Such is the human condition.